Quakers in Britain are urging governments to reject violence and find a peaceful solution to the crisis in Syria by adopting nonviolent tools for conflict resolution. A public letter published by the American organisation Friends Committee on National Legislation calls on the US government to take 6 nonviolent steps for peace. The steps could be adopted by the UK government and others who continue to cite the need for “robust action” following the alleged use of chemical weapons in the country. British Quakers could respond to the situation by writing to their representatives encouraging nonviolent steps as part of what David Cameron calls “robust action”. Rejecting military intervention, which would increase violence and increase the risk of more chemical weapons attacks. Co-sponsoring a US legislative proposal to prohibit military aid to Syria. Urging president Obama to convene an emergency summit. Increasing and better allocating humanitarian aid to reflect the flow of refugees in the area. 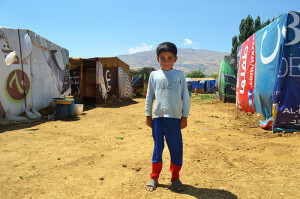 In the letter, which can be read in full on the FCNL website, FCNL executive secretary Diane Randall says: “The solution to the Syrian crises will not be found in escalated violence, but rather in means and mechanisms that de-escalate the violence and create a platform for a negotiated settlement. Working with all stakeholders, to apply new non-military mechanisms to weaken the engaged parties’ capacities and motivations to commit atrocities against civilians is the only way to make that happen. Just as the Taif Agreement of 1989 ushered in an end to the Lebanese civil war by securing buy-in from internal factions and external actors, a negotiated end to the Syrian crisis must be similarly inclusive. Reinstate the arms embargo on all sides in the conflict in Syria. Ensure no weaponry supplied to third countries, such as Saudi Arabia, is sent on to any faction within Syria. Place pressure on countries giving military support to anti-Assad militias, overtly or covertly, to end such support and supplies. Place pressure on Russia and other supplier countries to stop supplying weapons to the Syrian government, and to end any official UK government relationship with Rosoboronexport and other agencies that supplies arms to Assad. Give all possible support to a negotiated solution to the conflict. Pledge greater resources for humanitarian assistance to refugees and displaced people. Amnesty International has published an interactive map showing nonviolent activism in Syria. 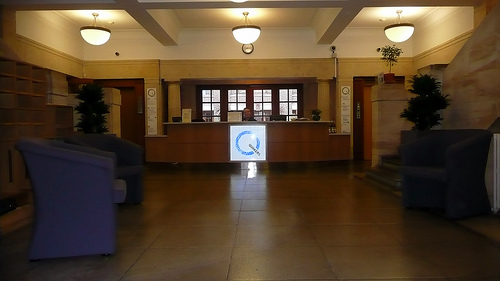 Quakers in Britain concluded a public statement they issued on Wednesday stating their opposition to violence by saying: “We beg those in power to work with diligence through the United Nations and all diplomatic channels to bring peace nearer. We challenge them to use their resources and imaginations creatively. Please don’t fall into the old trap of thinking that taking any action is bound to be better than doing nothing.